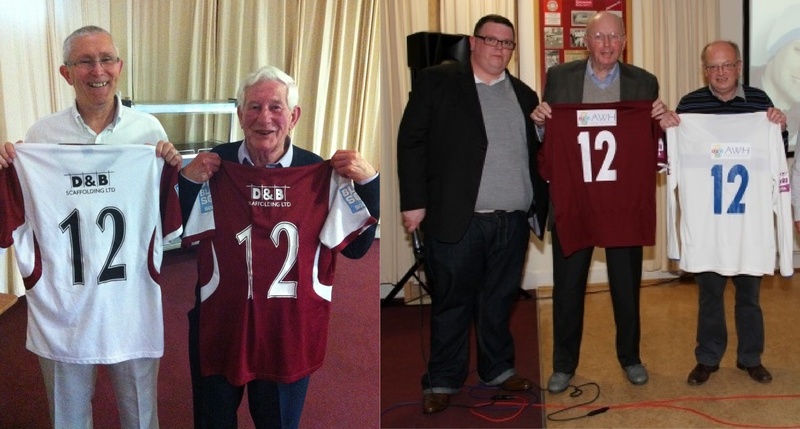 The ‘12th Man’ Membership Scheme is one of the most exciting initiatives to be ever undertaken by Chelmsford City Supporters’ Club since the very successful Football Club ‘pool’ run by the Supporters’ Club in the 50’s and 60’s. The ’12th Man’ Membership Scheme has the potential to further galvanise the relationship between Chelmsford City Football Club, its supporters near and far, and the wider community, which we represent. The City players and the Management Team often talk about the supporters as being the ’12th Man’ of the team – the backing that we give them and the atmosphere we generate is worth an extra player. A key aim of this Membership Scheme is to provide further recognition of this contribution. In order to do this, the Football Club have agreed to let the Supporters’ Club have the home and away number ’12’ shirts at the end of each season, thereby acknowledging that the supporters of Chelmsford City are the team’s ’12th Man’, and we, the Chelmsford City Supporters’ Club, have used this as our symbol. These shirts will be used as a prize in the free ballot, which each ’12th Man’ Supporters’ Club member will be entered into during the close season. From September 2012 to 31st May 2018 the Fund had raised £39,384.76 by 12th Man Membership Subscriptions and other donations of £10,865.24 to meet the subscription shortfall. At 31st May 2018 the Supporters’ Club had paid £50,250 over to the Football Club and had £652.20 in the 12th Man bank account. This Membership Scheme has one simple aim – to raise income that will improve the quality and depth of the first team squad. We probably all have a player or two in mind who we would like to see signed as a result of this scheme. One of the important feature is that the funds collected from this scheme are ring-fenced and are specific for this sole intended purpose. The stipulation of the Membership Scheme funds is that they are to be used in addition to the standard wage and transfer budget available to the Management Team and not to substitute or replace it. It could pay for a transfer fee for a new signing, or funding of a loan player’s wages. The Membership Scheme is not intended to be a one-season wonder, and the aim is to see it grow season by season. The Membership Scheme will provide all supporters the chance to directly affect the quality of the team and in turn, improve our prospects for promotion. Most fans can put themselves in the ‘hot-seat’ and debate, which players are required to see their side win a Championship. Thankfully, we have a Management Team in charge who are demonstrating that they know what is required and we can help them achieve what is a mutual goal. Just think of the impact we could have – a better squad means better performances and better results. Directly, that naturally brings in bigger attendances and so improves the Football Club’s revenue. If we all pull together to support this, we could not only improve the performances on the pitch, but also help give the Football Club a more stable financial footing to secure its future. Not a bad return for a few pounds a month! The Membership Scheme is administered by the ’12th Man’ Membership Scheme Committee of the Chelmsford City Supporters’ Club. It will, though, be an inclusive effort for everyone, and we hope that every Chelmsford City supporter will get behind us. You don’t need to be a member of the Supporters’ Club, as full membership is granted to you once you join the scheme. You don’t even need to be a regular supporter, you just need to want to see Chelmsford City to succeed. Bank: Co-operative Bank Branch: Chelmsford Sort Code: 08-92-99 A/c No: 65278550 A/c Name: Chelmsford City Supporters Club. NB: Your reference should be ‘Chelmsford City FC 12th Man’.